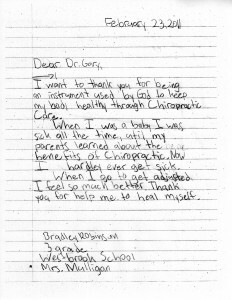 I want to thank you for being an instrument used by God to keep my body healthy through Chiropractic Care. When I was a baby I was sick all the time, until my parents learned about the benefits of Chiropractic. Now I hardly ever get sick. 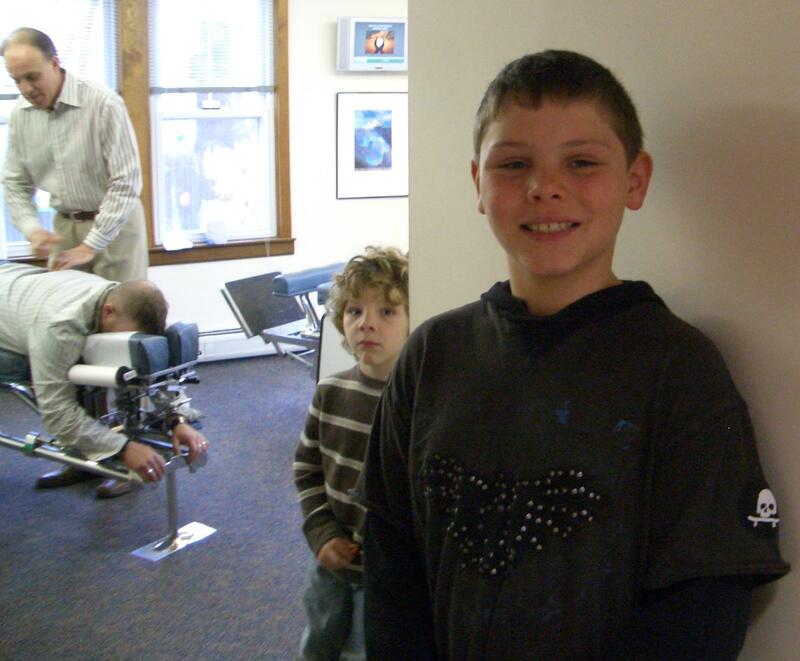 When I go to get adjusted, I feel so much better. Thank you for help me to heal myself.